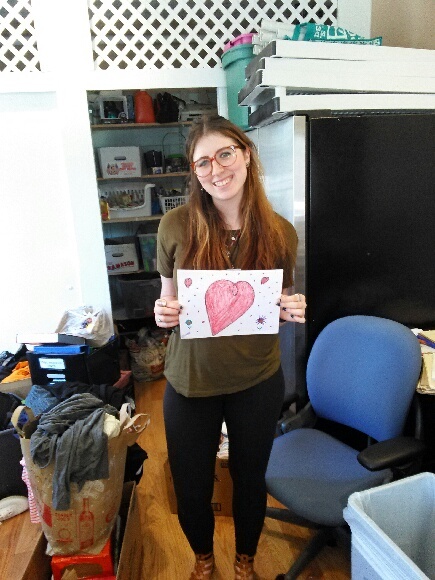 My summer internship at the Community Day Center of Waltham has greatly helped me clarify my career interests. I knew that whatever job I did I would want to work with people, but at the same time recognized the many ways bigger-picture things get done through policy reform and research. I was willing to consider working in policy reform and research, if it was going to make a real difference. However, after working at the Community Day Center of Waltham, I realized that working with people directly was something I want to do, whether it is in a position that provides therapy or social work. I greatly enjoy direct service and would not want to give up. In an ideal world, I would like to be able to do some kind of work working with people while also conducting research or policy reform. Me holding up the drawing one of my clients made for me. My work has also taught me a lot about myself. Because there is only one other staff member besides my supervisor and I, there were many opportunities for me to take leadership roles. As I became more comfortable with the population and they began to appreciate and respect me, I found myself taking increased initiative in the workplace. I was able to control the floor on my own, and found myself to be stronger and more confident with my capabilities to do my work now and in my future professional endeavors. I really stepped-up and surprised myself in with the initiative I took, which ended up creating a much more meaningful and enriching work experience. For a student interested in an internship at my host organization as well as this industry/field, it is important to go into it with an open-mind and open-heart, wanting to help and having the drive to do what it takes to get the job done. Emotionally, working in this field can be both uplifting and draining, so it important to maintain a level-headed perspective on things, appreciate small successes. Remind yourself that even your showing up to support this population is incredibly important, as you are supporting an incredibly marginalized population where in many cases, you are their only advocate and support system. This summer I am most proud of the role I played in some big and many small successes guests achieved. My biggest accomplishment was one particular relationship I created with one of the guests. We mutually gained each other’s trust and worked together. Because of the strong bond created, I went the extra-mile, driving him to apartment visits and interviews, calling his family and services as needed, filling out applications, and discussing his personal goings-on. By going the extra-mile and advocating for him, I was able to get him into an apartment. This was a big success that has set him up in a stable position, allowing for him to focus on growth in other parts of his life. I have officially completed my first week of my summer internship at the Community Day Center of Waltham. As the only day center in the metrowest area, the Community Day Center of Waltham provides a safe, warm environment for people who are homeless or otherwise needing of the resources provided by the center. Approximately 700 people are serviced each year, facing complex challenges such as physical and emotional abuse, domestic violence, physical disabilities, mental illnesses, poverty, homelessness, joblessness, alcoholism, drug addiction, and legal issues. The day center offers these people a concrete support system, offering them services such as the Internet, phones, advocacy, referrals, healthcare, legal counsel, housing referrals, and job search assistance. By offering these services, the Day Center enables these individuals to become more independent and productive. Having worked with the Day Center sophomore year, I have become more comfortable working with this population and am learning much about their experiences and stories, allowing me to better understand the complexity of societal barriers and societal standings. My growing familiarity with this population allows my perspective on the Waltham community and in general, homeless communities, to expand. The development of this perspective will give me the greater knowledge needed to accurately assess and refer the people that live in this community. At the Day Center, I have a range of responsibilities. I am a part of the Day Center team, meaning I help out with day-to-day tasks like help serving food for lunch, cleanup at the end of the day, and other tasks to ensure each day at the Day Center runs smoothly. Primarily I will be working on a health survey that over the past year, I wrote and implemented with the help of some Brandeis volunteers. I just completed our 100th survey and will soon begin the process of compiling and distributing that information. I will be writing a piece about the process of creating and implementing the survey. This summer, I will be collaborating with the Executive Director of the Community Day Center of Waltham to create a media strategy to share the results of the survey, identify stakeholders, reach out to community groups to give presentations, and coordinate these presentations. Aside from the health survey, I will be working on improving the Day Center’s efficiency and data collection by uploading intake forms, guest satisfaction surveys and other forms online. Additionally, I will continue to help with case management and support for the guests. My goals for learning this summer include case management training and administration to assess individuals at the center, implementation and publication of the health survey, and continued learning about the societal barriers and struggles of this population. To achieve these, I will fully engage myself in the work I do, commit time and focus to fully understand the necessary protocols in order to properly assess and refer individuals, and create professional yet personal relationships. To learn about the societal barriers and struggles of this population, I will create an open-minded and comfortable, yet professional environment for people to feel safe approaching me to talk about personal issues, or to seek help. So far, I have successfully been able to create this safe space for many individuals. I have learned a lot over the past few weeks and I look forward to the coming month. This week was the beginning of my summer internship. Unlike most of the other WOW interns, my internship is located a short walk from Brandeis University. Right on Moody Street in Waltham, Massachusetts, lies the office of WATCH CDC. WATCH CDC is a non-profit (501c-3) established in 1988 committed to promoting fare, just, environmentally-healthy living conditions for the low income, immigrant community in Waltham through advocacy and community empowerment. 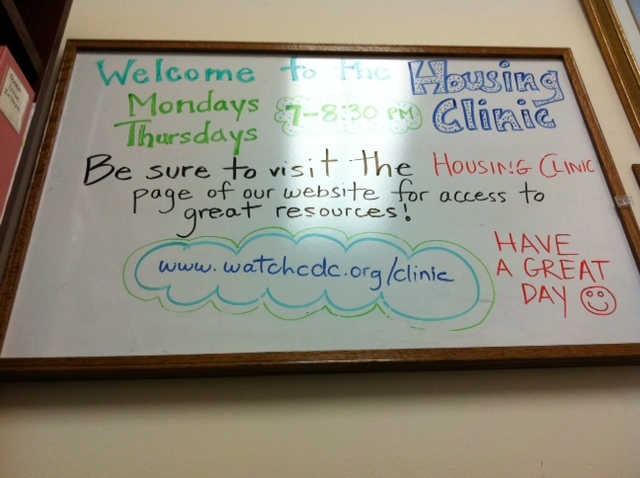 WATCH Housing Advocacy Clinic serves as the go-to place for the local community for housing issues such as evictions, rent assistance, tenant-landlord conflicts, and unsanitary living conditions. The clinic advocates are students trained in housing rights and equipped with knowledge on local sources for legal assistance, financial aid, and shelters. In addition, WATCH is involved in community organizing projects that build confidence and leadership skills within the Waltham community. As an intern, I will be in charge of the housing clinic, in which I will help tenants resolve tenant-landlord conflicts, eviction proceedings, sub-standard housing conditions and other housing problems, as well as inform them of their housing rights, empowering them to be their own advocates. As part of my work at the clinic, I will be identifying tenants with leadership abilities and creating a network where they can effectively work together to address the communities housing needs. In addition, I will be building relationships with the community and connecting community members to ongoing community empowerment projects at WATCH. 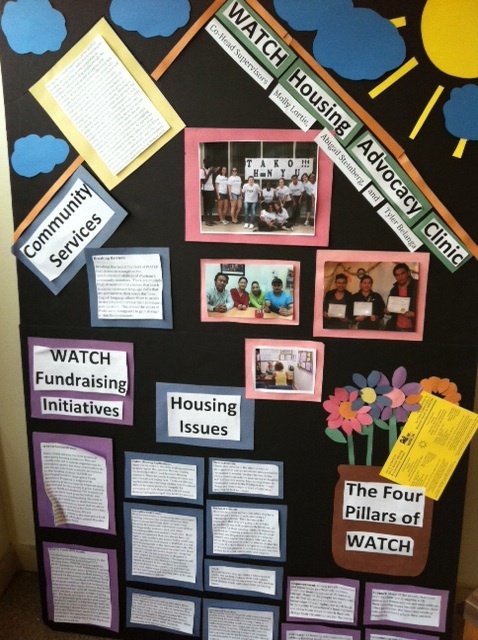 I first got involved with WATCH’s Housing Advocacy clinic the 2012 fall semester when I joined Professor Laura Goldin’s practicum. As part of the practicum, we volunteered at the clinic throughout the semester. 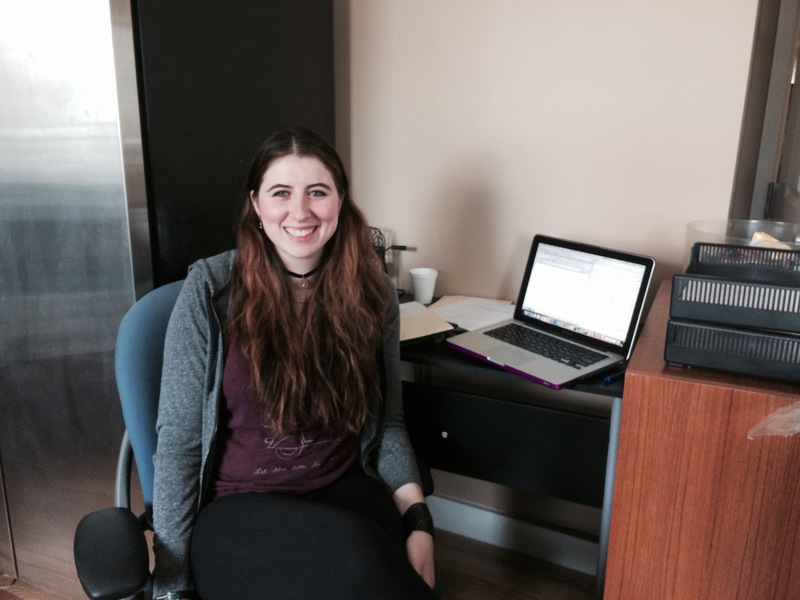 After the semester, I was eager to continue my work at WATCH and Professor Goldin offered me a supervising position at the clinic, in which I had to organize, train, and mentor Brandeis student clinic advocates. This spring, Erica Schwartz, executive director of WATCH, offered me a full time internship for the summer, which I accepted enthusiastically. During my first week at WATCH, I began to get accustomed to the everyday working environment of a small non-profit. Luckily, I already knew most of the staff from volunteering here throughout the year. WATCH had recently moved to a new address and I had to assemble a new office for myself – now I have my own desk, computer, and phone. I met with Daria, my supervisor and the new WATCH executive director, and established short- and long-term goals for my internship. I finished following up with clients that called the office during the short transition between the semester and my summer internship, during which the clinic was closed. 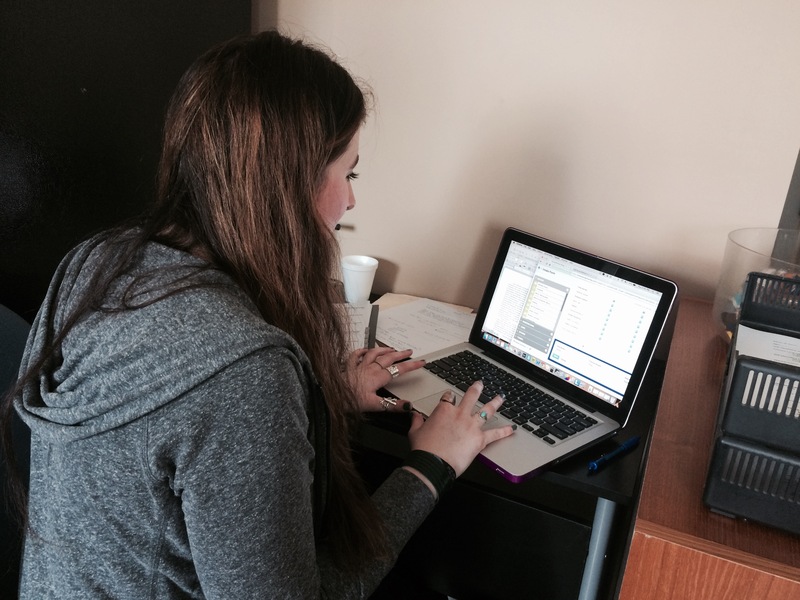 I also started working on a letter-writing project that we wish to integrate with the clinic. In this project, clients will be able to identify their ward councilor in the local government and send them personally tailored letters that advocate for a safer and more affordable housing. As part of my long-term goals, I wish to learn about the inner workings of a non-profit organization and specifically I wish to engage in community organizing around housing issues, which include advocating and lobbying for our local community. Extensively working with tenants, helping in cases from start to finish, and participating in community empowerment, would help me reach a new perspective and identify my career path within the public sector. 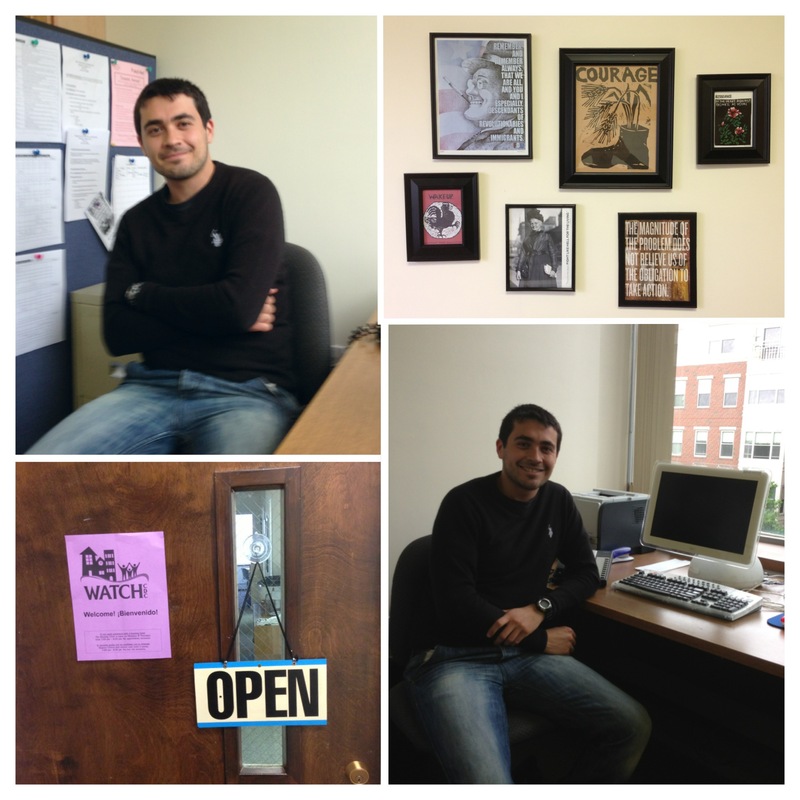 Last week I began my internship at WATCH CDC right here in Waltham, Massachusetts. WATCH is a non-profit founded in 1988 dedicated to providing housing justice in the Waltham community through empowerment and advocacy. Here in Waltham, those issues primarily deal with affordable housing and immigration. WATCH offers a Housing Advocacy Clinic open Monday and Thursday evenings that is staffed with students trained in Massachusetts housing law and equipped with information on local resources for financial, food and fuel assistance, legal services and shelters. Clients come in to the clinic faced with evictions, inability to pay rent and unsanitary conditions and the clinic helps them to demystify the laws, know their rights as tenants and connect them to affordable and helpful resources, meanwhile building confidence and leadership skills required to resolve future issues. In addition, WATCH has English language courses and participates in community organizing in attempt to create and maintain more affordable housing in Waltham. As an intern, my duties are to run the clinic and train tenants on tenant-landlord law, aiding them in resolving their housing issues. I also update and maintain the database of tenant cases and connecting appropriate clinic clients to WATCH’s community organizing in order to pursue collective action. I was first exposed to WATCH in the fall of 2011 when I participated in the Environmental Health and Justice JBS with Professor Laura Goldin. As part of the class, we were required to volunteer so many evenings in the clinic as advocates. What I found at WATCH was a connection to the Waltham community that transcended our Brandeis bubble and a realization that social injustice happened close to home. I continued working in the clinic as a Housing Advocate and volunteered weekly in the ESOL classes and this spring was offered a full time internship for the summer. My first week has involved getting to know the full-time aspect of the office, as in the past I have been in only to work the evenings of the clinic and English classes. But since I have already been trained in housing laws and know how to interact with inquiring clients, I was able to jump right in to helping clients who stop by to ask questions during the day. Looking towards the rest of the summer, my projects include researching resources in order to update WATCH’s community resource guide and calling past clients to follow-up and get them to participate in WATCH’s community organizing campaigns, since they have faced housing issues face on. I look forward to learning how to create action through community empowerment during my summer interning at WATCH.